We operate 540,000 sq. feet at Pier 84 South in Philadelphia as a dedicated facility for the storage of cocoa beans. We manage 2.1 million sq. feet of warehouse space, which includes: certified sampling, certified weighing, debagging into trucks, supersacks, reconditioning and quality control inspection. 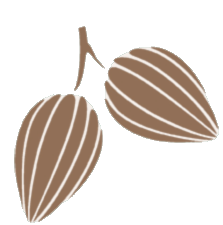 We handle, store and distribute cocoa beans and semi-finished chocolate products throughout the United States. All facilities are alarmed, monitored with sprinkler systems, food grade, rail served and certified by ICCE and CMAA. facility selection and transportation to all points in the United States. Our transportation division specializes in local cartage and drayage services within the Philadelphia Regional area including the ports of Philadelphia. Our unique combination of services and capabilities makes Philadelphia the port of choice for cocoa.